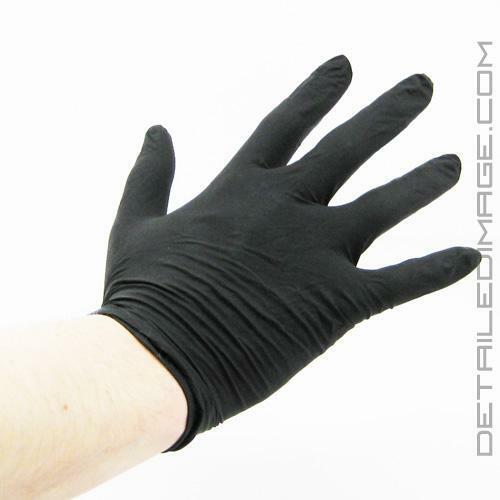 The Premium Black Latex Glove will fit your hands so naturally that you'll continue working as if you don't have gloves on at all. The powder free gloves look more professional and allow you to work like a professional. The surface of the glove is just slightly textured so you can grip any item with ease. Wearing a glove while detailing can help protect your hands from strong chemicals and ensure you are working safely. The fingers boast a .7 mil thickness so you know this glove is meant for the "working man". The durability is so good that they even meet the ASTM D3578-99 standard which is the standard specification for rubber examination gloves. They slide on and off your hand with ease and feel very natural while in use. When you are done you can take them off and dispose of them or keep re-using them since they are so durable. We recommend using them while applying any kind of cleaner to keep your hands protected and to prevent your hands from harming any finish, especially if you wear a ring. You can also use them while washing, buffing, wheel cleaning, using a clay bar, hand removing a product (i.e. wax), wheel cleaning, cleaning the interior and so much more. 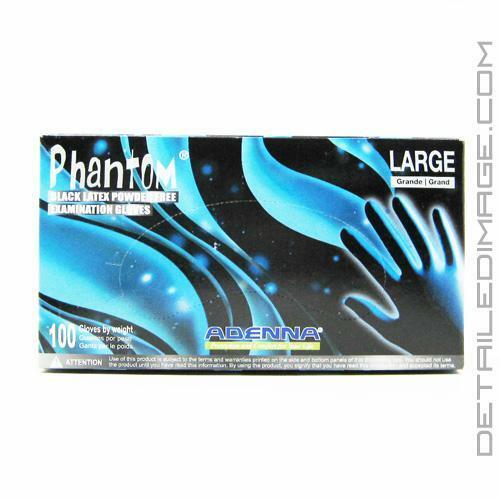 The large size fits most adult male hands nicely and the flexible material makes it fit snug. Not all gloves are created equal so make sure you pick up the Premium Black Latex Glove today to see and feel the difference. Each box contains 100 gloves or 50 pairs. These rip very easily. They are thin and offer little to no protection when working on things like engine bays or wheels. The other gloves offered called "SHADOW" are much more durable.